Top Workwear Screen Printing prides itself on being an industry leader. We have the capabilities to do a large print for all your apparel needs. 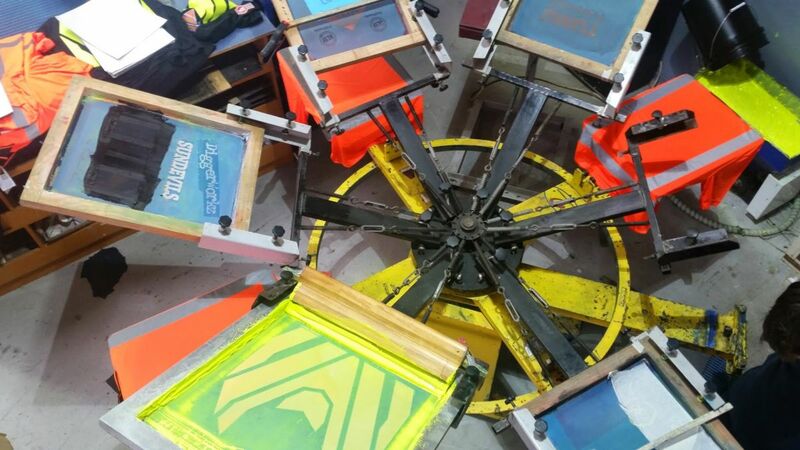 Screen printing provides a colorful way to present your image! Visit our showroom, call us 06 870 9037, or set up an appointment for us to visit with you. Communicate your order to a customer service representative. Your artwork is either prepared or provided. Your custom order is completed and shipped directly to you. Whether you are looking to promote an upcoming event or provide shirts for your employees, Top Workwear can design, produce, and deliver your products to you to save you time, energy, and stress. For the last 18 years Top Workwear has specialized in manufacturing NZFOA compliant Hi Visibility for Forestry and other industries. Because we manufacture on site we have the ability to customise based on individual customer requirements. Whether it is an embroidery window or extra logo’s, we can meet individual customer needs.